The intentional foul highlights why it is important to understand the nature of rules in sports. 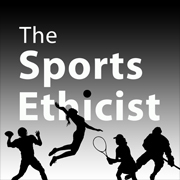 In this episode of Examined Sport, I discuss Warren Fraleigh’s “Why the Good Foul is Not Good.” In this 1982 paper, Fraleigh presents an influential critique of the tactical intentional foul, igniting decades of discussion about the ethics of the intentional or ‘good’ foul. CBSSports.com: “Freshman ineligibility? Conference commissioners at least considering it”. March Madness is upon us. NCAA basketball is taking over the national sporting world (in the U.S.) for the next few weeks. Tune into ESPN or sports radio and all you’ll likely hear is hoops. Even the U.S. President fills out a bracket on national television. I have a confession to make. I just don’t care. Basketball doesn’t hold my interest anymore. I don’t fill out any brackets. I don’t watch the games. I consciously avoid ESPN during the tourney. So what? There are so many different kinds of sport, one can hardly be a fan of all them. One has to pick and choose how to spend their fandom-focus. Nevertheless, this puzzles me. I used to be a basketball fan. What happened? Growing up, basketball was one of my top sports to watch. One of my more memorable birthdays was a Celtics’ game at the old Bahston Gahden. In college, a group of us went to Vegas for Spring Break primarily to watch the NCAA Tourney. But ever since, my interest has waned. One explanation is for this decline is that the Celtics just haven’t really been worth watching since the 80s. When I was a kid, the Celtics were the dominant Boston team. This was the era of Larry Bird. The Sox were hardly ever competitive and the Patriots were the “Patsies”: barely on the sport radar. The Bruins were competitive with Bourque and Neely, but in the era before HD TV, hockey just wasn’t as big. But after the Legend retired, the Celtics descended into a period of heart break and tragedy off the court and irrelevancy on the court. The notable exception was 2008-10 when the Celtics briefly returned to relevance in the NBA. So, one explanation is that without the Celtics being competitive, my interest in the NBA evaporated. And that is partly true. In the Celtics’ Finals runs in 2008 and 2010, I was watching games with interest. But even then, it was just about the Celtics. I couldn’t get into the other playoff series. And now with the Celtics back to being gawd-awful, I am out again. And this partly explains apathy towards March Madness. I don’t have team for which I root or to which I have any connection. College sports in Boston are eclipsed by the professional teams, so I didn’t grow up a fan of any particular schools. Tufts had a good team, but that’s Division III. ASU was a good option, but graduate school absorb most of my focus and I never got into them (I am sure the fact that they weren’t very good during that period didn’t help). Even so, I used to get more into the tourney, make out brackets, etc. So this lack of partisan connection doesn’t fully explain my recent apathy. And to my surprise, I realized I am not alone. When sharing my apathy towards basketball, others acknowledged similar feelings. This suggests to me that this is something more than just my own deal with basketball. A common refrain I hear often as an explanation is that “the game has changed.” I am not entirely sure what this means and I suspect it is a kind of catch all. The game in terms of its rules has not substantial changed. So maybe it is more a style of play thing. This is philosophically interesting to me as a kind of aesthetic response to sport. Pinning this down is hard, however, but there does seem to be something there. Another way to take “the game has changed” is that the stars are different today. That is, instead of Magic and Bird, we have James and Durant. James and Durant are fantastic basketball players, as were Magic and Bird. But James and Durant, at least to me, are far less appealing as ‘stars’. James, in particularly, is too manufactured and insincere seeming for my liking. There is a lack of authentic personality to connect to (either as someone to root for or to root against). And in college basketball, it is hard to connect to any team through the stars, since so many of them are ‘one and done’ and off to the NBA. One last reason I suspect, at least for me, is that my interest and appetite in other sports has grown and just left basketball behind. Sports such as hockey and soccer seem to have more tension, more team play, and more strategic scheming. The first 40 or so minutes of a basketball game are far too often meaningless preamble to the last 8 minutes. You can’t lose a game in the first quarter (and yet you can lose early in soccer, hockey, and football). And if the game is close, the last minute or so becomes a diminished game of intentional fouls and free throws. There is of course strategy and designed plays in basketball, but they seem to play a less important role to just the sheer athleticism of the best players. This is not a bad thing in itself, but it makes it more a performance than a contest. 1. My personal lack of partisan fandom. 2. The style/aesthetics of basketball have changed and become, for some, less appealing. 3. The big stars are not as interesting or authentic as they used to be. 4. The game is more performance than a strategic, team contest. I’d love to hear from others who have lost interest in basketball—particularly if they have other reasons. Please share in the comments. Will Soccer over take the NHL and NBA? Probably not anytime soon, but the attendance numbers are interesting. A friend of mine posted a link to an article about how the NHL is selling out more markets than the NBA this year. This prompted me to look at average attendance numbers in the NHL and NBA. But I also thought I’d compare them to MLS numbers. I think the results are intriguing. To really do anything with these numbers (or any statistic) would require digging into them more. For example, what happens if you take the Seattle Sounders out of the MLS average? The Sounders drew an average of 43,144 in 2012 (that beats most MLB team averages). The next highest was the LA Galaxy, but they drew a much lower, but respectable 23,136. Take out the outlier Sounders and the MLS average falls to 17,455. There is obviously something weird going on in Seattle. But even the adjusted average is interesting. MLS draws about the same, then, as the NHL and NBA. The latter have many more home games, so total attendance is higher. They also have TV contracts that give them a much wider audience (and much greater revenue). I think these numbers support the growth of soccer the US, and the likely continuing growth (the ratings for EPL games on NBC also seem to support this). I am not sure we’ll see the MLS garner the kind of TV contract that the NHL and NBA have, but I think they are moving in that direction. One counter to this is to claim that the NHL and NBA numbers only look similar to MLS now because most fans NHL/NBA fans watch on TV and so fewer fans go to games. Their respective attendance numbers would be much higher if watching them on TV wasn’t so easy. I am not sure this is true; that is, how many more fans would go to games if they weren’t on TV? In the bigger markets, these arenas are already sold out. In markets where there are not sellouts, it is not clear that attendance would increase. This would depend on the weak attendance being dependent on the broadcast availability instead of lack of a deeper interest in the team. If the teams aren’t selling out because the fan-base isn’t there, lack of TV coverage isn’t going to translate into increased attendance. I suspect it would actually decrease interest in the team and thus lead to decreased attendance. Carrying over this speculation to the MLS, more TV coverage would probably increase interest and thus translate into higher live attendance. This suggests a brighter and bigger future for soccer in the US. Mike Breen: Didn’t have the normal post-game hand shake and hugs. The Heat went right back to the locker room, not interested at all. And you love that. Jeff Van Gundy: That is how it should be. Teams should compete so hard against each other that at the end of the night, it shouldn’t be warm and friendly. There’s nothing wrong with this; it wasn’t bad sportsmanship by the Heat. Mike Breen: Absolutely not. But it goes against what we normally see night in and night out. No, that is not how it should be. Yes, that is bad sportsmanship. Teams should compete hard, play as hard and as tough as they can. But the very essence of good sportsmanship is that when the game is over, you step outside that frame of mind. You acknowledge the victor. You walk away with dignity and grace (not pout and make a beeline for the locker room). Especially after a game like this. A historic streak was on the line and it was lost in a tough, emotional battle. Both sides played well down to the wire. This is precisely when good sportsmanship is needed most: to temper your disappointment and emotions so that you show the appropriate respect to your opponent. The Bulls deserve the respect that would be shown by a simple handshake. Now, in some pro sports the post-game handshake is not customary; in baseball for example, it is rare to see the teams shake hands at the end of a game. So there is nothing disrespectful there about not shaking hands. But it is, as the announcers acknowledge, the normal thing in basketball, so by not doing it, the Heat are showing disrespect, or at best their lack of being able to lose gracefully. Both, though, are precisely what is meant by bad sportsmanship.